1. Are the Salt River horses wild and native horses or stray livestock/feral horses? The Salt River wild horses are a historic population of unbranded, unclaimed, wild and free-roaming horses that were born in the wild and are now protected by State Law within our national forest. Evidence indicates that wild horses have been living on the lower Salt River since well before the Tonto National Forest was created in 1902. It is believed that the herd is descended from the Spanish horses brought to Arizona by Spanish missionary Father Eusebio Kino in the 1600’s. The United States Forest Service (USFS) itself acknowledges that the horses have lived on the lower Salt River since the 1930s. 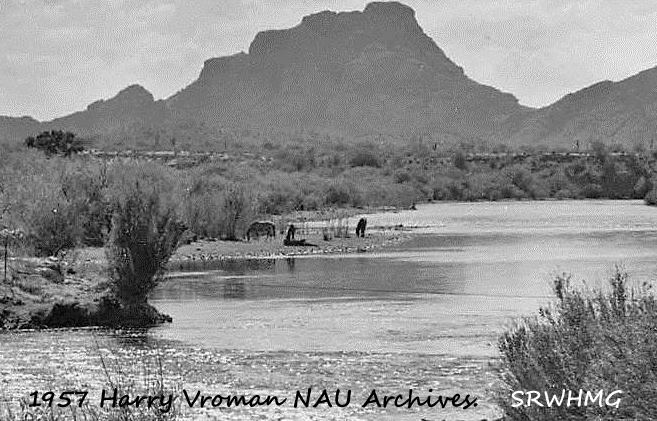 Dozens more historic records and hundreds of eyewitness accounts chronicle the presence of free roaming horses on the lower Salt River throughout the modern era, into the 1970s, when the Wild Free Roaming Horses and Burros Act was passed, to the present day. The FS’ claim that the Salt River horses are not “wild” is based on a 1974 letter that acknowledged “dense riparian vegetation … makes it very difficult to … even observe these animals.” The decision to deny the Salt River horses protection under the 1971 Act ran counter to the longstanding FS policy to manage these horses as “wild” and distinct from stray livestock prior to 1971. 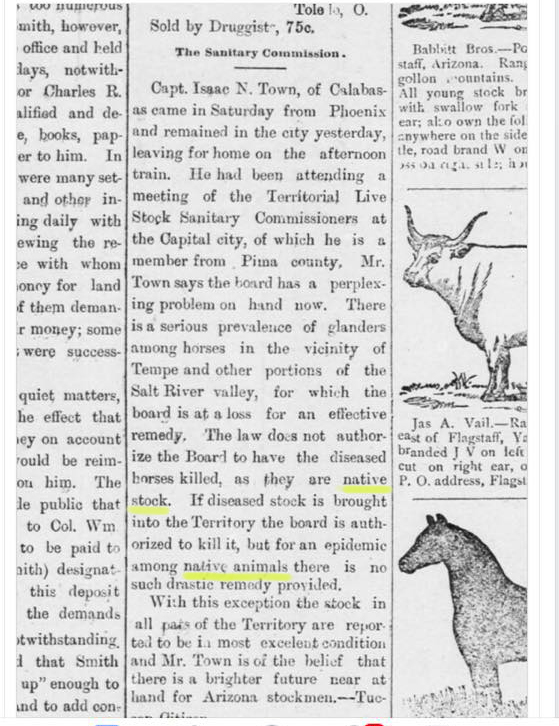 In fact, then FS Regional Rangeland Ecosystem Specialist Curtis M. Johnson stated that the horses “… were not considered unauthorized … they were considered wild horses” and managed as such throughout the 1960s under the Multiple Use Sustained Yield Act of 1960. During his career with the Forest Service, Perl Charles estimates he rounded up and removed more than 3,500 head of wild horses within the national forests. Therefore, Perl Charles should be a credible authority on identifying wild horses, versus alleged “branded” Indian horses present at the time. Simply put, the USFS claim that these horses are stray livestock is not supported by historical or current evidence. No parties — including neighboring tribes or the State of Arizona — claimed these horses in response to the July 31, 2015, USFS-published “notice to impound.” Therefore, it may be assumed that they are not truly stray livestock. Update: The Salt River Horse Act, a bill that was passed and signed by Governor Doug Ducey in 2016, establishes that the Salt River horses are “not stray livestock”. Of the 6 million annual visitors to the Tonto National Forest and the tens of thousands of animals who call it home, the herd of free-roaming horses living along the lower Salt River is compatible with, and supportive of, a healthy ecosystem. Claims that these horses pose a threat are based on scant research in other geographic regions that are not relevant to the lower Salt River region. And the data from these regions indicate that wild horses have both positive AND negative impacts and environmental benefits, much like ANY other wildlife species, including birds. In fact, the 20-mile stretch where the horses still exist is one of the most biologically rich areas along the entire 200-mile river, in spite of the human caused challenges it faces. Photo-documentation accumulated by members of the Salt River Wild Horse Management Group supports this observation with evidence over long periods of time. 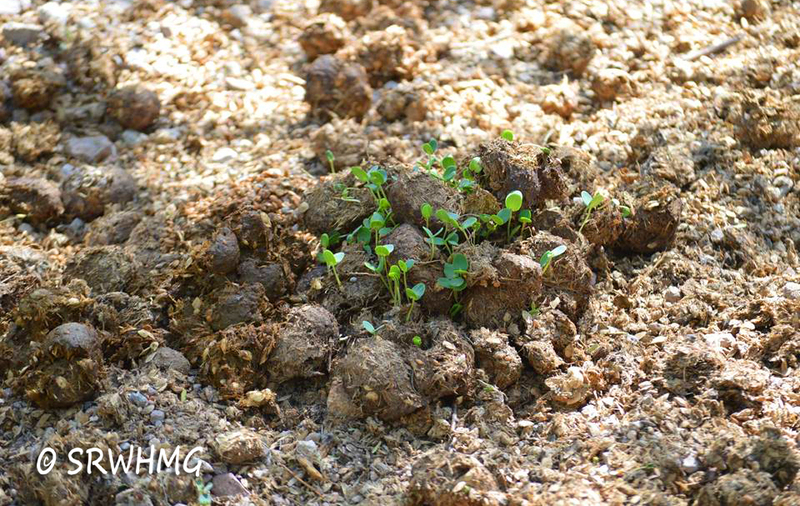 That evidence shows healthy and growing trees, seedlings sprouting from horse manure, abundant plants and flourishing wildlife diversity in the very area on the river where the horses roam. Bald eagles on the river have been making a comeback since the early 1980s, and eagle nesting was particularly successful this year in the exact area that the horses call home, according to the Audubon Society itself. The horses and the bald eagles have been cohabiting together successfully and may even have a symbiotic relationship. The Salt River Wild Horse Management Group cares deeply, not only about the wild horses, but also about the birds, the environment and all other wildlife. We look forward to working with the USFS and conservation groups in any and all projects that improve the environment and benefit the ecosystem in which thousands of species have been harmoniously cohabiting for centuries. The lower Salt River should be preserved as is for future generations to come. The lower Salt River faces myriad human-caused challenges that should be addressed before scapegoating this small herd of extremely rare and valuable wild horses. The Salt River ecosystem in the Tonto National Forest is impacted by many factors, including agricultural activities and heavy recreational use. The Salt River is heavily littered with trash, and the bottom of the river has accumulated several layers of aluminum cans in certain areas. Legal, as well as illegal, recreational use has impacted the riverbanks and the soil conditions. Items such as fishing wire, lead bullets, metal and downed barbed wire pose a serious safety hazard to wildlife, as well as to people and wild horses. The Salt River Wild Horse Management Group members pick up bags of trash on the river daily, organize bi-monthly cleanup days and also participate in the Forest Service’s yearly cleanup day. In addition, the health of this natural habitat is heavily impacted by Salt River Project’s policies regarding water levels and the volume of water released from the Stewart Mountain Dam. At times during the winter, the river actually runs to just a trickle. Recorded levels of output from Stewart Mountain Dam show less than 6 cubic feet per second released for months on end during the winter, which is less than 1 percent of the average output of 900 cubic feet per second during the summer months. Water levels, obviously, have a significant effect on plants and animal life in the area. 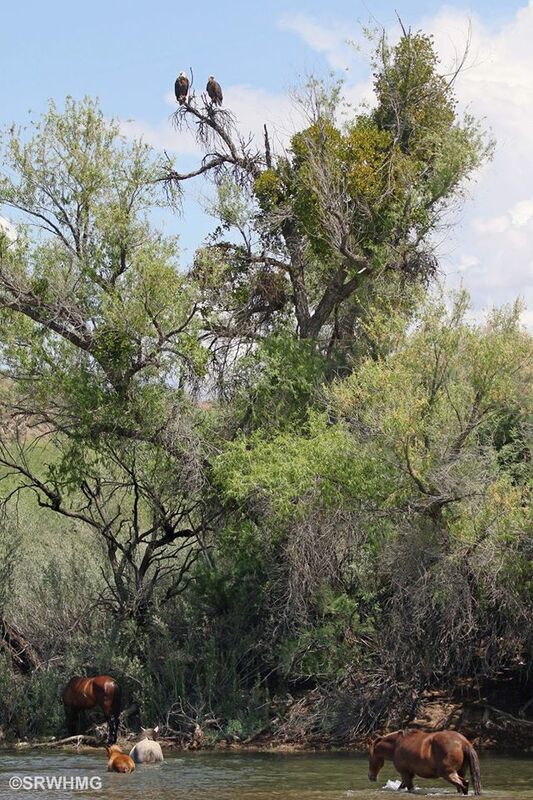 We believe this to be a potential source of adverse outcomes in the riparian areas along the Salt River. According to statistics from Maricopa County and the Department of Public Safety, collisions with other types of wildlife happen in the Forest with greater frequency, but there are no plans to remove other wildlife species — only horses. Regarding non-traffic related safety concerns, to our knowledge, in the history of recreation on the Tonto National Forest, there has never been an injury reported to a human that was caused by a wild horse. Any traffic-safety issues that do arise are being addressed by continued work between the Salt River Wild Horse Management Group and the Maricopa County Department of Transportation. Currently a research project is on the and we have submitted a full proposal for flashing lights at the horses crossings and more lighting and warning signs. Much improvement is still needed to create more safety on Bush Highway in regards to non horse related accidents as well. These horses are part of the last of these historic living symbols, it is crucial that we make informed decisions based on what future generations of Americans would want us to do. These wild horses are crucially important to the local, environmental and global communities for many reasons, including recreational enjoyment and economic, cultural and educational contributions. The herd is iconic, representative of nature at its best: wild and free. It is also accessible — tourists and photographers come from all over the nation to see these wild horses. According to the U.S. Fish and Wildlife Service, the wildlife viewing industry in the U.S. garnered $65.7 billion in 2012 alone, a figure that grows every year. Wild horse ecotourism, in particular, is on the rise. Madeleine Pickens’ Mustang Monument Wild Horse Resort in Nevada draws international tourists willing to pay more than $1,000 per night for the opportunity to spend time with mustangs. On the Salt River, visitors can spend an entire day with wild horses for just $7 — the cost of a Tonto National Forest day pass. The Salt River wild horses draw visitors to the area, providing a boost for local businesses and the economy. Children of all ages benefit from the presence of these horses. Local high schools have taken their classrooms outdoors to study the wild horses. Very few urban areas exist where students can travel a short distance to gain tremendous experiential knowledge in an outdoor classroom that extends beyond a school’s four walls. Educational seminars about the wild horses are offered routinely by Ranger B at the Usury Pass Center on the Salt River. The USFS notice of intent to remove the Salt River’s free-roaming horses provoked strong public outrage. Public support for these horses is demonstrated by the more than 200 people who attended an August rally in support of the horses and the 250 citizens who attended a town hall meeting a few days later. Our elected representatives in Congress and the State House have spoken out, as well as U.S. Senators Jeff Flake and John McCain, U.S. Representatives Matt Salmon, David Schweikert and Krysten Sinema, and U.S. 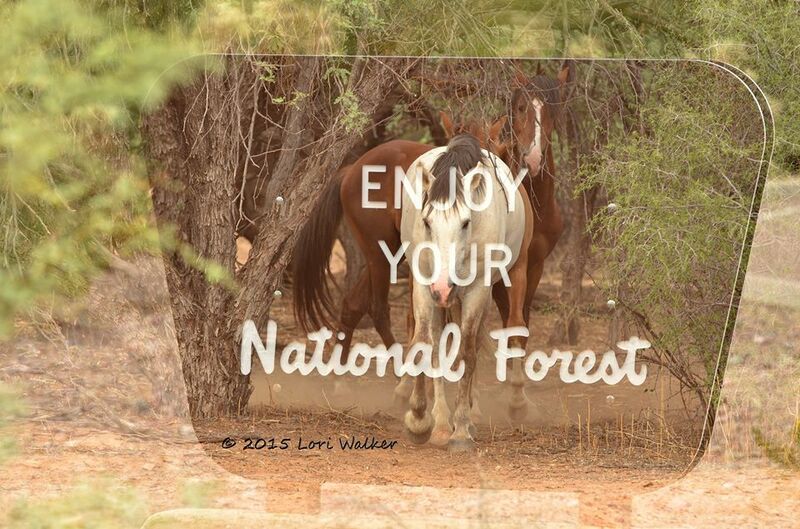 Representatives Martha McSally, Ann Kirkpatrick, Michelle Lujan Grisham, Krysten Sinema, who have all sent letters to the USFS raising concerns about its plans to remove the horses. Arizona Governor Doug Ducey has expressed his support for the horses on social media, as has Sheriff Joe Arpaio. In addition, the Salt River Pima Maricopa Indian Community released a strong statement of support for the protection of the horses. And, hundreds of organizations and businesses, as well as literally thousands upon thousands of people, just like you, are strongly opposed to the removal of these animals. In fact, nearly 300,000 people have signed a petition calling for their protection. 7. 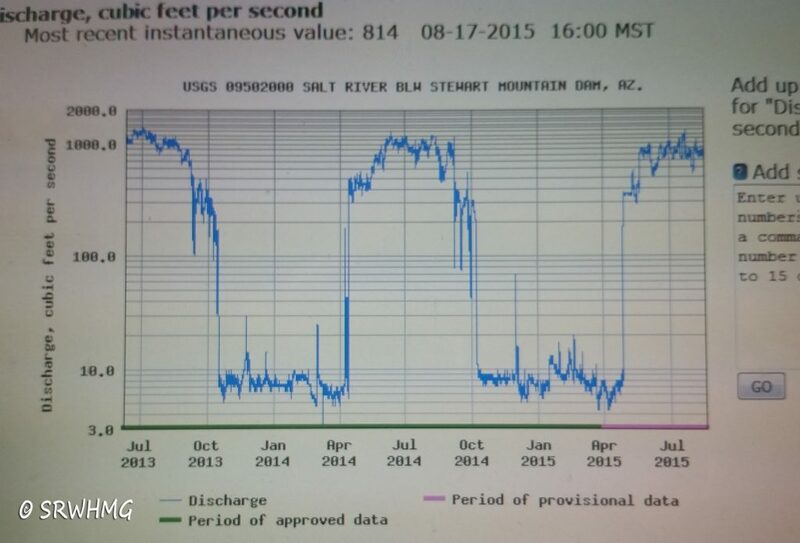 How can the USFS protect the Salt River free roaming horses? A humane fertility-control program to manage herd expansion. Immuno-contraception can be humanely darted by certified individuals without need to capture animals. Range management measures, such as addition and/or removal of fencing or restoration of water sources to facilitate natural horse migration and alleviate areas where horses are congregating in close proximity to people. Continued work with the Maricopa County Department of Transportation to improve traffic safety through horse crossing signs and other measures, such as “animal detection systems” that trigger warning lights or other signals when large animals are present, under passes and more lighting on Bush Highway. Public education and other measures to ensure public and horse safety. Longterm range-health studies to determine impacts of various uses, including but not limited to the horses. By entering into a public-private partnership for the humane management of the Salt River wild horses, the USFS and AZ State Ag Department can balance recreational, environmental and public safety concerns while delivering win-win solutions that will protect this iconic herd for future generations to come. “History is only made by people who care about the future”. -Simone Netherlands.